About Us | Get the Word Out! Mary Jean Powers lives in Colorado, where she is surrounded by friends and family. She has two married sons in the area as well as five grandchildren. Mary Jean has been involved in various ministries throughout the course of her life, beginning at Northwest Nazarene University in Idaho through her current position as President of Get the Word Out! She has been a youth pastor, music minister, worship team leader, church pianist, Christian school music & Bible teacher, recording artist & short-term missionary, just to name a few. Through it all she has had a passion and calling for teaching the Word. This calling led to ordination by Evangel Ministerial Association and certification in TESL (Teaching English as a Second Language) and Walk Thru the Bible in order to be a more effective teacher, both in the States and overseas. 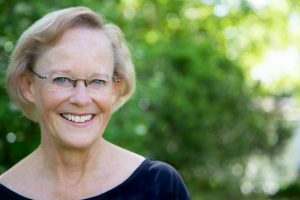 Mary Jean has a Bachelor’s Degree in Christian Education, and a Master’s Degree in Biblical Studies, through International Bible College and Seminary. Though Mary Jean has held many different ministerial positions and has worked in more than 35 countries, those who know her will speak more of her character than of her accomplishments. They will tell of her intense dedication to the Lord, her close relationship with Him, and her desire to know His heart. They will tell you that Mary Jean knows the Word better than most people they’ve met, & not only does she know it, but she is able to teach it in a way that motivates people to delve deeper, deeper into the Word & into Jesus, who is the Living Word. And while she holds official titles of “Teacher” or “Missionary” you will more often hear her called a mentor and role model. One of the primary ways she disciples people is by coming alongside pastors and missionaries all over the world. This personal connection with church leaders continues to develop as she travels across international and denominational borders teaching for such organizations as YWAM (Youth With A Mission), Cadence International, Walk Thru the Bible, Teen Challenge, Children’s Cup, Homes of Refuge, KRIK, Association of Christian Schools International, School of Kingdom Ministry, Global Leadership Academy, Many Waters Mission and Fellowship of Companies for Christ International. Click here to read testimonies from missionaries with whom Mary Jean has partnered.